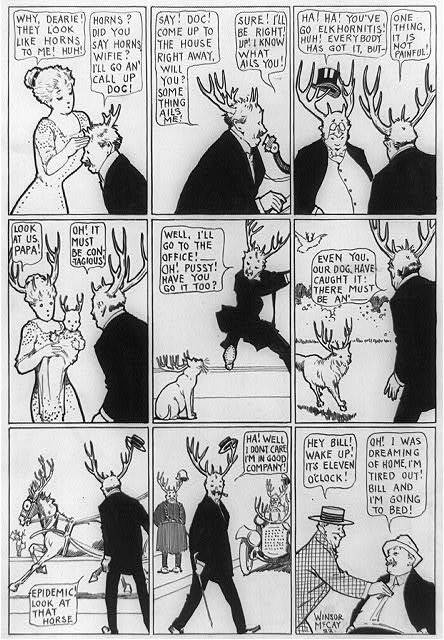 An illustrated advertising label for soap manufactured in Boston, interesting for its imagery and allusion to the popular "Know Nothing" or nativist movement. In the foreground are two American Indians, emblematic of the movement's prejudice against the foreign-born. In the lower right is a seated brave, leaning against a rock and holding a pipe. Above him a large American flag, with thirty-one stars, unfurls across the main picture area. 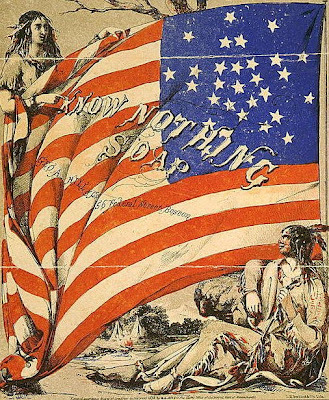 The flag is supported in the upper left corner by an Indian woman, who points to the words "Know Nothing Soap" emblazoned on it. In the background is a landscape with tepees and a campfire on the bank of a stream.